Group Discussion Ideas > Current Affairs GD Topics > Should both developed and underdeveloped countries have equal binding in combating climate change? 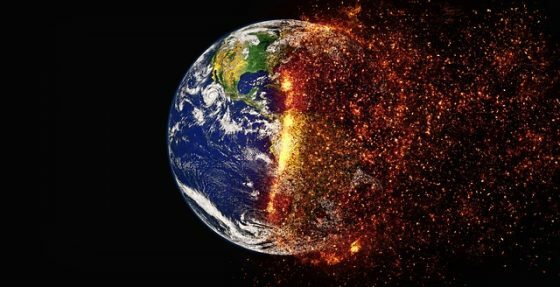 Global Warming is termed as a global problem which emphasises that each and every nation on this planet is equally responsible for resolving the deteriorating condition of the earth. This means that the developing countries must hold uniform equity for resolving the crisis as every other developed country holds. Burdening the developed countries such as U.S and Russia or developing countries would not work out in the long run as per future responsibilities are considered. We all must follow certain protocols which are fair for every country and collectively preserves the health of the world. Trusted sources depict how in the next 30 years developing countries would contribute more than 75% of the global emission of greenhouse gases breaking all the records of the developed countries. Holding developed countries solely responsible for the entire damage gives all the other developing countries unfair advantage of saving their resources and diverting them for their personal growth. In the struggle of rebuilding the detrimental crisis, Kyoto protocol, an international treaty that unites countries all over the world which has fixed amendments to control global warming and greenhouse gases. The United States has recently withdrawn from Kyoto Protocol, alleging the dispensation of developing countries in the updated structure for saving the planet. This leads to a massive failure in the functioning of such well-executed initiatives as it lacks a major support. Focussing on the per capita emission of harmful gases, developed countries contribute more than 20t per capita whereas, for developing countries, it is just 4t per capita. These statistics clear that over the time, developed countries have been greatly responsible for global warming and climate change all over the world as compared to developing countries. One can fairly follow contraction and convergence policy where contraction refers to the shrinkage of harmful practices by the government of every nation whereas convergence talks about narrowing down of the harm caused by developed countries as per developing countries. Developed countries have been blaming developing countries for destroying the health of this planet as they are focussing more on industrialization, globalization of market etc which was something that the developed countries themselves did once. The balance of world powers must be maintained in a systematic manner by each government of various countries. Majorly, developed countries have stable and huge economic background because of which world expects them to contribute in proportion to their economic status. Developing countries such as India and China stand an added disadvantage of limited resources supporting 39% of the worlds entire population. Global warming and Climate change have caused some serious damage to this planet earth. Keeping this in mind, whether the citizen belongs to the developed or developing country category, they all have the common goal and mission to save this planet. Kyoto Protocols and Rio declarations have majorly contributed to this much debatable issue and tried to solve the crisis. However, we need more such structured global initiatives and binding amendations that could collectively bring effective changes to generate productive outcomes. Global warming is a global problem so developed and under developed both countries are equally responsible, everybody has to take initiative to save our planet earth. Developed countries help as per their choice and under developed countries also help to save the planet as per their choice but goal is the same . Global warming everybody has to suffer . Charity begins at home we common people take initiative then problem can solve . Developed countries people can sometimes switch off the AC machine and sometimes can use public transport rather their own car, all the lights should change CFL to LED and can use environment friendly car , in this way they can save the planet and under developed countries can make plantation, plantation is very essential , only trees maintain the balance of our environment , because of civilization trees are hacked to death. So plantation is very essential and not only plantation everybody has to nurture the trees in this way we can save our planet. Each and every person on this planet is equally responsible for resolving the deteriorating condition of the earth. People have to aware of this condition and conservation efforts to be a public movement. We have to minimize the use of paper, plant sablings & reduce using AC etc.